Conor McGregor was meted a six-month ban and a $50,000-fine, while its $500,000 and nine months for Khabib Nurmagomedov as ruled by the Nevada State Athletic Commission (NSAC) in connection with a recent UFC brawl that the figured. In a Rappler report citing an Agence France Presse (AFP) dispatch, it was learned that the two could be eligible again for UFC 236 in April as the ban was retroactive to October 6, 2018, the date of their much-anticipated Vegas showdown that ended in a Helter-skelter brawl. Media reports said NSAC officials voted hand McGregor and Nurmagomedov the punitive action for a post-fight brawl that broke out Khabib’s submission victory at UFC 229 last October in Las Vegas. Nurmagomedov can have 3 months of his suspension reduced if he cooperates in the filming and distributing of an anti-bullying public service announcement, reports said. All told, that would allow McGregor, and Khabib – granting he films the PSA – to be eligible for UFC 236 on April 13, which is a week after their bans conclude, said the Rappler report. Khabib’s fine was paid from the portion of his $2 million prize money being held by the commission. 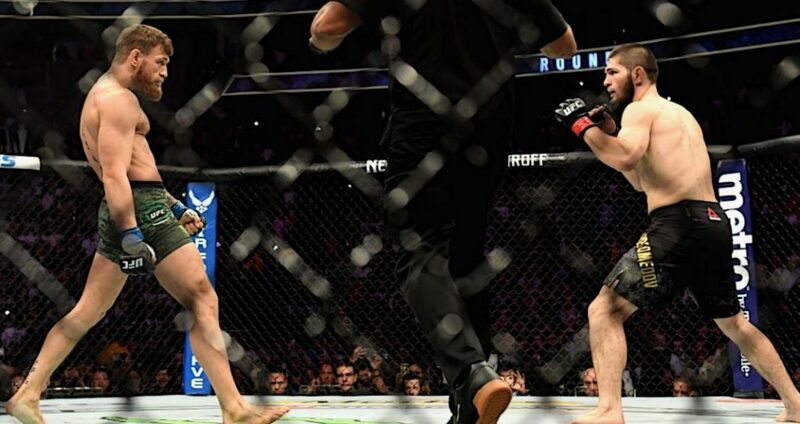 It will be recalled that Nurmagomedov left the Octagon after the fight and hit or tried to strike a number of people, including McGregor’s cornerman.